A very productive week, and a reminder why I don’t set myself specific word count goals any more. If I’m not very careful, I end up focusing on the numbers rather than the writing and it actually becomes a distraction. 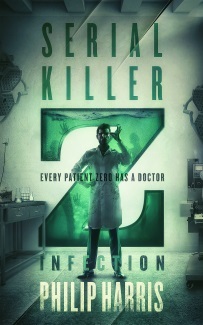 Still, I hit my 7,000 word goal (7,180 to be exact) and made some great progress on The Zombie Book. 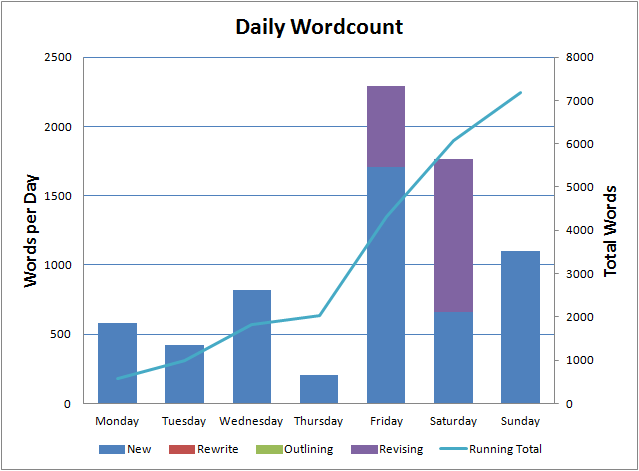 As you can see from the graph, the high word count was thanks to three days where I pushed really hard. I was actually doing two things – writing the last chapters of the ‘Part One’ of the book and revising the first fifty pages to send to an editor. Those pages still need some work and I’ve got quite a few non-writing tasks to get done this week so I am not setting a word count goal. I got away with it last week but I need to give myself a bit of slack for the next couple of weeks. Then I can start targeting the magical 1,000 words a day again.